There aren’t many empty seats at Miami City Ballet’s performances. Maybe it’s because South Floridians really appreciate the beautiful bodies and their sheer athleticism, and Miami City Ballet’s new director Lourdes Lopez has initiated a lot of new and interesting programming to get their attention. Take, for example Program II, Hear the Dance, which incorporates both a classical George Balanchine acts as well as one by Twyla Tharp called Nine Sinatra Songs which features not only music by old blue eyes, but also fashion by the late Oscar de la Renta. Performances of Program II begin January 9th at the Arsht Center, head onto Palm Beach on January 23rd and finish in Broward on February 6th. They aren’t just focused on breaking the mold, Miami City Ballet is also beginning some new traditions. On Saturday, December 20th, 2014, they hosted their very first Nutcracker Magic Kids Gala chaired by Tina Carlo and Ana Codina Barlick to great success. 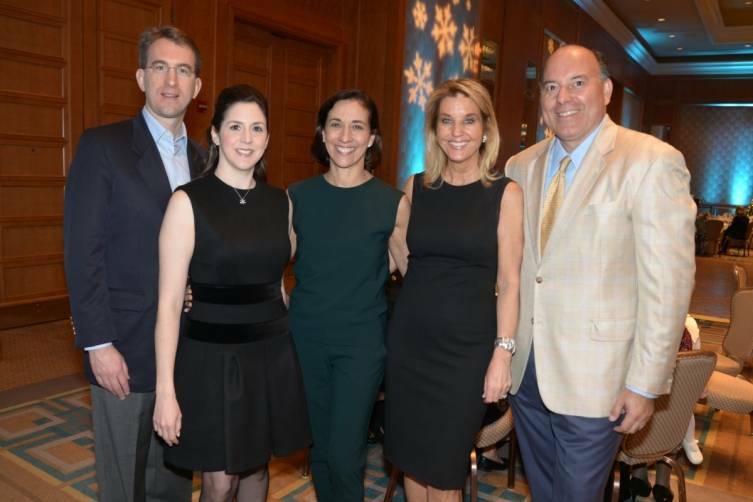 The event welcomed more than 300 children and families for a wondrous luncheon at The Four Seasons followed by a very special experience at the Nutcracker performance. The event raised funds for MCB School’s Community Education & Outreach Program. The whole MCB family came out to take part in Nutcracker Magic including MCB Founder Toby Lerner Ansin; Presenting Sponsor, Board Member and Sponsor Ana Maria Kadre, sponsors and philanthropists including Elizabeth Bacardi, Charlotte Hicks, Kinga Lampert, Lara Shriftman; Amy Sayfie Zichella, Stephanie Sayfie Aagaard, Suzie Sayfie, Lisa Sayfie Ranawat; Criselda and Jonathan Breene, and many more. We love Miami City Ballet's Nutcracker Magic Gala! MCB founder Toby Lerner Ansin, with daughter Stephanie & granddaughter Tatiana at Miami City Ballet's Nutcracker Magic Gala.